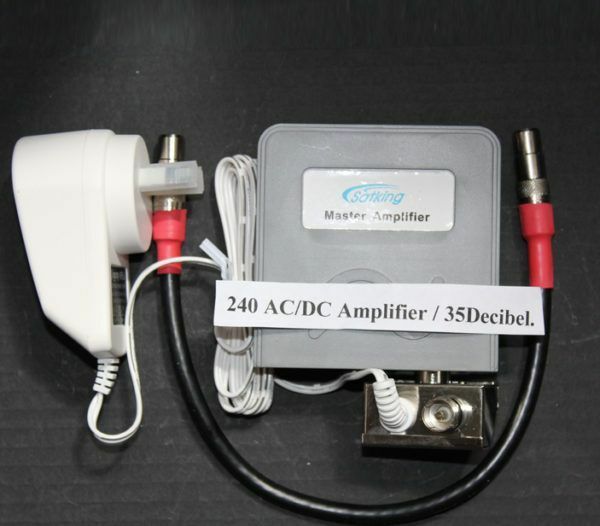 240 Volt Amplifier; For on grid Campers to improve the TV signal in Fringe or Low Signal areas. 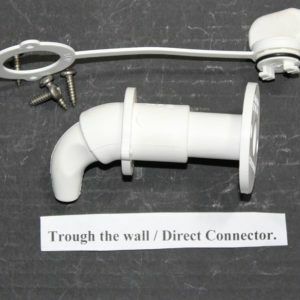 240 Volt Amplifier; For on grid Campers to improve the TV signal in those dodgy areas. 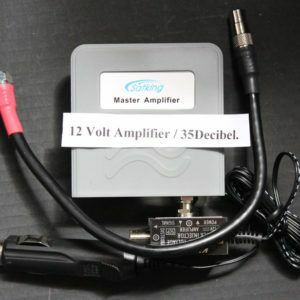 Satking 35 Decibel Amplifier with AC/DC power supply + TV cable. 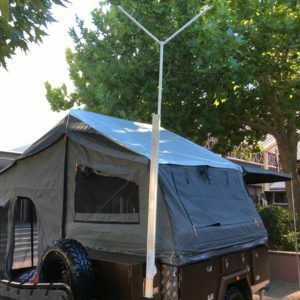 12 Volt Amplifier; For free Campers (can be used anywhere with 12 volt)to improve the TV signal in Fringe or Low Signal areas.